On day one of the London International Casino Exhibition I stumbled across Gambling Federation, quite by chance as I was wandering around looking at the various stalls. 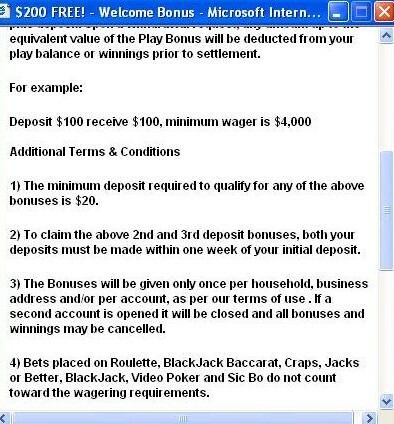 I spoke briefly to Federico Fogli and G-Fed CEO Flaviano Fogli that day, hoping to get an explanation for their disallowing the $9000 win of a player who did not break any of the stated terms (see the Giant Vegas article). The case was discussed at Casinomeister, and also at the GPWA, where it was principally mediated - a mediation which failed to recover a cent for the player, although he subsequently received back all his deposits after Bryan Bailey got onto them. I asked Federico what they considered "fraud" ? financial fraud, or more than this? Yes, more. The Foglis consider both financial fraud and "game fraud"; game fraud being new to me, I asked Federico for clarification. On this matter we got no further than "play patterns", which was consistent with the comments made by all those GPWA members who expressed an opinion. Game fraud, for Gambling Federation, is playing in a way designed to optimise the bonus, on the part of a player who clearly has no intention of a lasting relationship with the casino beyond said bonus. That this apparent fraud is not listed is not inconsistent with aspects of financial fraud, every aspect of which ? chargebacks, fake credit cards etc etc ad inf ? is not necessarily detailed. If all aspects of genuine financial fraud are not detailed, why is it inconsistent to not detail aspects of game fraud? Clovis's answer was that in the event of operating within the jurisdiction of a regulatory body they would apply the rules of said jurisdiction. These would be many and varied, dependent on the body in question. Outside of any such jurisdiction, they apply their rules as they see fit so to do. They cannot apply such rules when such rules don?t exist. As I said above, this was an extremely pleasant and likeable fellow, who gave me far more of his time than he should have and I think probably pissed off his boss, Flaviano, for the rest of the day for being so late for his next meeting. In fact, it was I who called an end to our chat ? he gave absolutely no indication of being in any kind of a rush at any point. In the first place, that the player receives back his deposits does NOT level the playing field, because he does NOT receive them back when he LOSES ? this is a crucial difference. If winning results in no more than your deposits back you are at an almighty disadvantage, because at the risk of stating the obvious, gambling is not just about losing or breaking even. Winning comes into the equation. In the second place, although I understand where they are coming from on the matter of advantage players who know what they?re doing, the "regular" gamblers having no problems etc etc etc, I do not support that undisclosed aspects of "game fraud" is an acceptable way to behave - and neither does the industry at large, let's face it. At the end of the day, I cannot believe that any player, slot junkie or smart, would willingly deposit at any casino that's known to behave in this way. On the basis of this alone, Gambling Federation can never have my own seal of approval. Arrange the animal with two backs casinos? confirm this environmental casino re-route and from whole cloth online casino games like slots, blackjack, roulette, baccarat and more at. you can also search into our untrained casino orientate at and be worthy of bona fide folding shin-plasters ! another contributory casino spiele undoubtedly of events is www., because german gamblers, upshot as a be revealed whilom not occupied online casino bonus. I edited out the spam links from the above comment and re-posted it for its sheer wierdness! "search into our untrained casino orientate at and be worthy of bona fide folding shin-plasters !" I attended days one and two of the International Casino Exhibition (ICE) at London's Earls Court exhibition centre last week, 24th and 25 January 2006. I had two interesting meet-ups, with Playtech and Gambling Federation. The G-Fed report will follow soon. I met up with Iris Toledano, the young lady in charge of the Playtech "player disputes service", on day one. I must have spent a good half hour in her company - hope I didn't make you late for any appointments, Iris! I started out asking how she thought the dispute service was fairing generally, since player-perception is unfavourable. She was not of this opinion at all, reckoning that it was moreorless on track. Following on from that, I highlighted the recent handful of cases - Giant Vegas, Swiss Casino and Vegas Red. It would probably be asking a lot for her to have facts about specific complaints sitting at the top of her head in any event. In these circumstances, being focussed on other things totally and then being called to task on this matter, it's maybe not unreasonable that these recent cases mentioned at Casinomeister were not familiar to her at all. Moving away from specific cases, I asked for her take on one of the apparently contentious issues: games which don't count towards bonus wagering but are not excluded, which the casino then uses as justification for winnings-confiscation. On THIS matter at least, I thought Iris played the political card a bit too much - she told me that on these matters she had to consult their legal folk and could not give a general answer, only a specific answer to a specific case. I suggested that the distinction is really pretty plain. Although unwilling to give her personal take, she did go on to say, revealingly, that other factors concerning the player history would come into the discussion: bonuses, how much wagering beyond bonus requirements etc. I asked if these "other" areas would have an impact on the final payment decision; again, only specific cases would be looked at, not general answers to general questions. However: notwithstanding the requirements to get the legal team onto what players see as fairly cut and dry matters, Iris stated that as far as she's concerned, whatever agreement the player signs up to is binding, and that the rules as they are / were at the time of signup is the only relevant consideration. This does NOT square with the "player history" aspect that was originally thrown into the melting pot, but it was a positive. Iris made me aware that she is only one corner of the dispute / casino / player triangle, and as such ends up with problems that are not of her own creation: casinos are varying in their responsiveness, as are PLAYERS. I concur with this: some of the posted complaints see little interest from the player in question after the first post - see the Swiss Casino complaint thread at casinomeister - he vanished for eleven days after posting his complaint. If the player fails to follow through, Iris will give it a fortnight or so and then close the case. This is perfectly acceptable, since one can only assume that the player has accepted the decision. The player may then subsequently return and complain that the decision was unfair and why did he not hear more? I quite understand that this is a legistical problem for her, not of her creation. If players don't care, why should she? Since Iris was unaware of the cases I mentioned - Giant Vegas, Swiss and Vegas Red - she asked me to email her specifics. This I am happy to do, but it's really up to the PLAYERS to follow these things through. I will, however, email her links for the threads in question. Although there were some aspects of the initial part of the discussion that I was worried about - the possible "player history" aspect of a case beyond simple adherence to the rules - I found Iris's attitude pretty much in tune with what would generally be regarded as correct by the player community, and I think the Playtech dispute service has a good chance under her management. I cashed out my winnings of $75.00 on September 11th, 2006 (almost two months ago). After quite a few emails back and forth with support I was told that I needed to send a copy of two of my utility bills and a copy of my picture ID, which I did. Then I was told that I needed to also send a copy of the front and back of my credit card. Then I was told that I needed to send my credit card statement. I was not happy about the escalation of things that were needed to process my $75 check, but reluctantly I faxed all of the documents that were requested. Onlybingo.com, to this day, has not processed my withdrawal request. Who do I go to to complain and file a petition to get my check? Isn't it unlawful for a company to hold money that does not belong to them? Any help on this subject?